Blog | Should Air Ducts Make Us Worry? With the environment posing a threat over our own existence if we don't take care of it, our wallet threatening us with family bankruptcy and the children sneezing day and night, air ducts should worry everyone. There are too many warning signs to simply disregard, forget and neglect them. 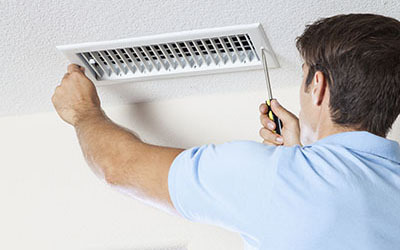 There are always the exceptions of those who didn't hesitate to change their lives by simply replacing the old ducts, but also by keeping a regular date with Air Duct Cleaning in Newport Beach for maintenance. What about the rest of us? Are we condemned to deal with duct problems for eternity? Most certainly not! After all, nobody keeps us from replacing our ducts and annual air duct maintenance is our responsibility and ours alone. What is upsetting is that most of us fail to understand the value of air duct cleaning or the right steps for healthier days. What's important is that everyone should understand the true problems resulting from filthy and damaged ducts in order to stop worry and take the right precaution measures in the future. Let's think the reasons why ducts make us worry in the first place. Due to them, we pay more for energy which is also lost, deal with several allergies and dusty homes every day, need HVAC unit repair all the time but the problem is still there. Such problems are created when ducts are not in a good condition, are installed improperly and are dirty. Duct installation problems will follow you for a lifetime. The use of wrong materials, failure to insulate ducts properly or at all, poor quality sealing materials, long routes and many bending parts will create problems. What will happen pretty soon is air leakage. Poor materials and connections will create cracks where air will escape through. Without immediate air duct seal repair and good insulation of the ducts, the temperatures in the house will be far from ideal, the HVAC unit will get damaged sooner because it will work harder to produce the expected temperatures, and your bills will be at the highest levels. The worse thing with air duct problems is that they often cause health problems, especially to people already suffering from asthma, allergies or having issues with their immune system. Duct cracks will allow mold growth and mold in combination with bacteria nestled in the ducts along with dust will have toxic effects on humans. In short, we suffer due to our blindness to see further than what's visible. We might not see inside the ducts, but it's natural that home air duct cleaning must be included in our home annual cleaning priorities. 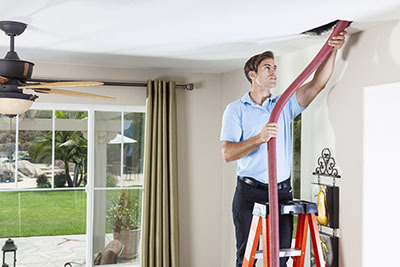 It's natural that when we encounter symptoms like paying high bills and having trouble getting the right temperatures, checking the ducts for air leak and HVAC unit repair and cleaning should also be our top priorities. Save more money and think of your health! 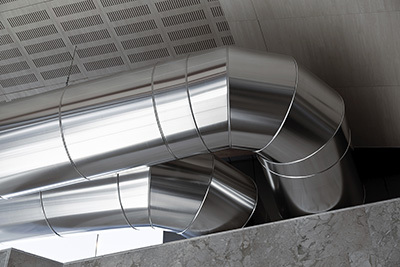 Check the condition of your air ducts as soon as possible.